A report that claims Britain’s supply of electric and plug-in hybrid vehicles could dry up after Brexit has been dismissed by EV charging specialist Chargemaster. The report, published by environmental campaign group Transport & Environment (T&E), claims that carmakers will lose a strong incentive to sell low-emission vehicles in the UK following the UK’s departure from the EU. 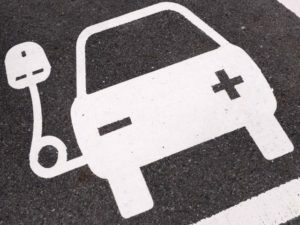 The UK was the third largest market for zero emission vehicles in the EU last year, and the largest for plug-in hybrids. But as British sales of these cars will no longer count towards carmakers’ EU CO2 targets after Brexit, they may choose not to sell them in the UK at all, the report suggests. In response, Tom Callow, director of communication & strategy at Chargemaster, said: “The UK is one of the leading markets for electric vehicles, not just in Europe, but globally. The UK automotive ecosystem is geared towards supporting plug-in cars and we see no sign of that changing after Brexit.